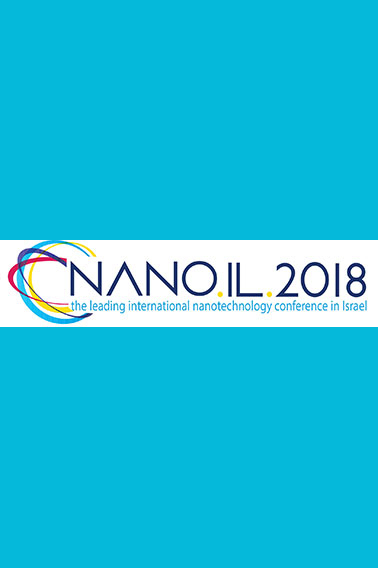 NANO.IL.2018 will be taking place in Jerusalem, Israel from October 9 to 11, 2018. NANO.IL.2018 is a central meeting point for local and international companies, investors, universities, corporate research scientists and government representatives from around the world and is a unique platform bringing together elite speakers and top individuals from academia, business and government. We anticipate very high number of attendees from Israel and abroad with diversifies expertise and interest that will be able to get first hand access to cutting-edge technologies and solutions, scientific innovation presentation by top scientists and speakers, startup companies and new technologies on a verge of reaching commercialization, multinationals organization seeking collaborations, top defense related companies, hundreds of scientific posters seeking collaborations and commercialization and a rich display of latest innovations and product prototypes. NANO.IL.2018 is jointly organized by Israel National Nanotechnology Initiative (INNI) and the Nanotechnology centers at Israeli universities.